Speaking with CNN, Square founder Jack Dorsey confirmed that the payment processing service will support Apple Pay in the coming months, bringing Apple Pay to small business owners. In the interview, Dorsey reiterates his opinion that he does not view Apple Pay as a competitor and wants to add the mobile payments service as an available option for Square users. "We're not building a credit card. We're not building a payment device. We're building a [cash] register, and this register accepts all these forms of payments," Dorsey told CNN in an interview. While the existing Square Reader can process credit card payments via an iPad or iPhone, the hardware is not equipped to handle the wireless transactions required by Apple Pay. In order to support Apple's mobile payment technology, Square will need to introduce all new hardware with built-in NFC connectivity. Square is currently working on an EMV chip card Reader that it plans to introduce in the spring 2015, but that upcoming device does not support NFC, making it unclear when in 2015 an NFC-compatible Square Reader might be released. Apple Pay launched last month alongside iOS 8.1 and is available only in U.S. with global expansion planned in the future. The payment service is supported by a number of large retailers, major banks and restaurants including the recently added Disney Store, Sephora, SunTrust Bank, and Levi's Stadium,. Awesome. I use Square a lot for my business. Having an NFC-equipped adapter will be sweet. This is probably the tipping point for me to upgrade from my trusty iPhone 4 to a 6... but first :apple:Pay needs to come to Canada... hurry up Apple! We still don't have iTunes Radio either! It's been more than a year. Is it possible since the square registers are normally iPads or iPhones that they could accomplish accepting Apple Pay without a NFC reader? Through some sort of Apple proprietary connection between devices similar to AirDrop? Surprisingly clear quote from the interview. Square seems to want people to understand them. I believe I read on MacRumors that the newest iPads have NFC built in so that 3rd party apps can access the feature, despite not having a direct need for Apple Pay via that device. This suggests that the new Square stand will likely need an upgrade to support cards with chips, but that we retailers will need to buy both a new stand AND the current iPad Air to support NFC payments. I knew this was coming, will still cost less than going with traditional merchant service BS. Plus, If you are in my situation, I guess you can always sell your other iPads to employees at a discount or something like this to supplement the costs of the new ones. Not bad at all. This is good news, a lot of mom and pop places are starting use Square. Seems like a pretty practical, even wise decision on their part. This is huge! In my business where my emphasis is convenience and security for my customers, this is a welcome announcement. If in turn it opens the door to other forms of payment (google wallet, etc) I'm all for it. 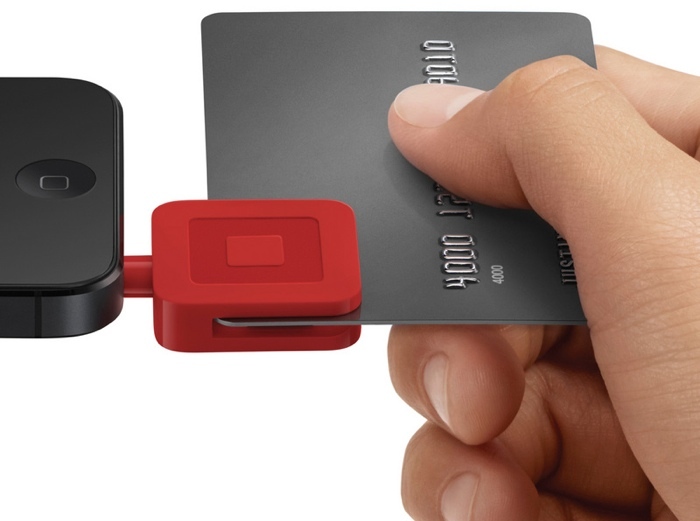 Square has recently begun taking pre-orders of EMC-enabled credit card readers as well. Nice to see a company that embraces the technology rather than picking some out-dated, exclusive, not-as-secure system like CurrentC. Because that's all most cards here have. Only one card in my wallet has a chip. The rest are mag strip only.